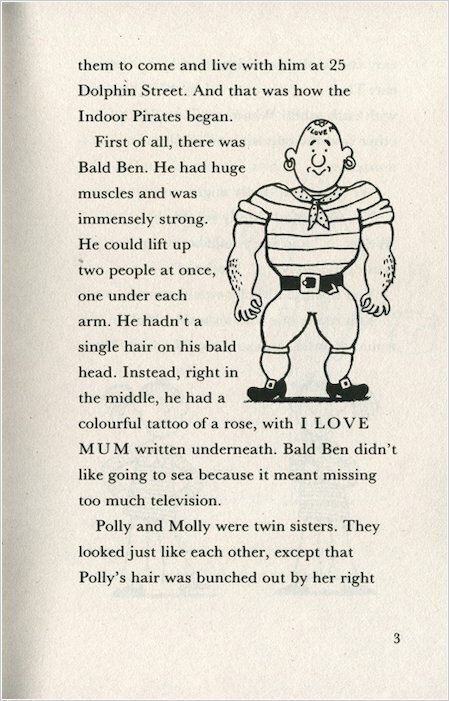 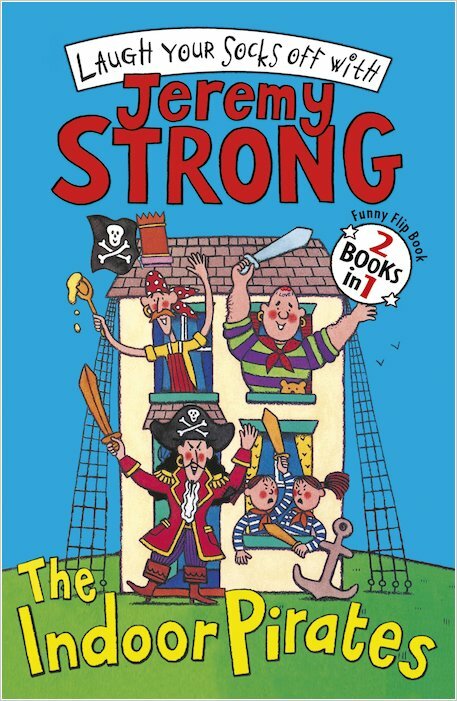 Two swashbuckling yarns in one barmy book! 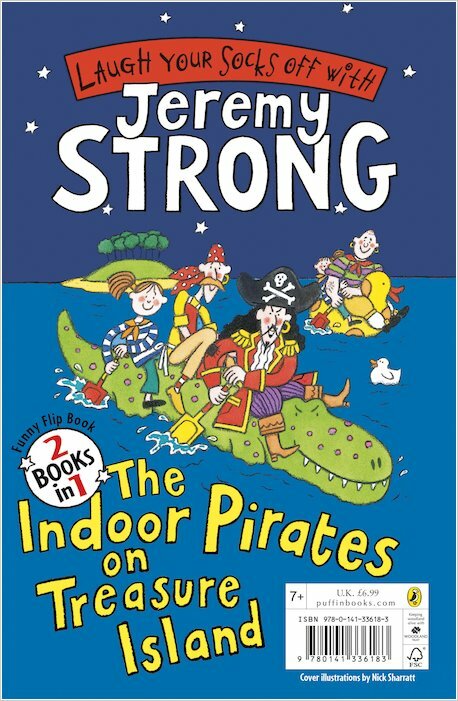 The indoor pirates are fierce, lawless bandits, but they have one fatal weakness: they hate the sea! 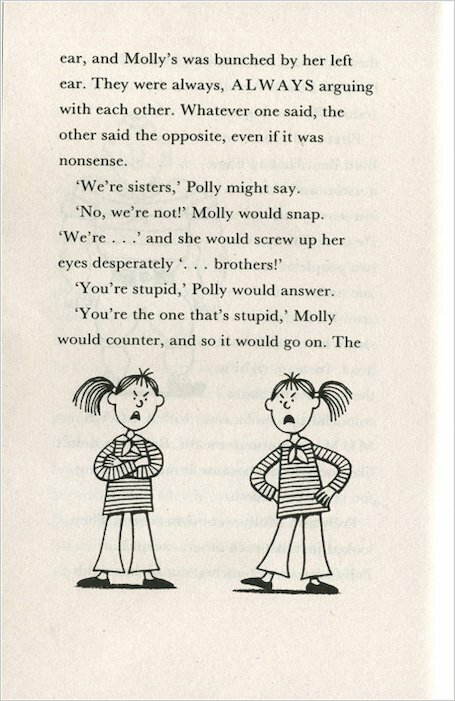 Confined to No. 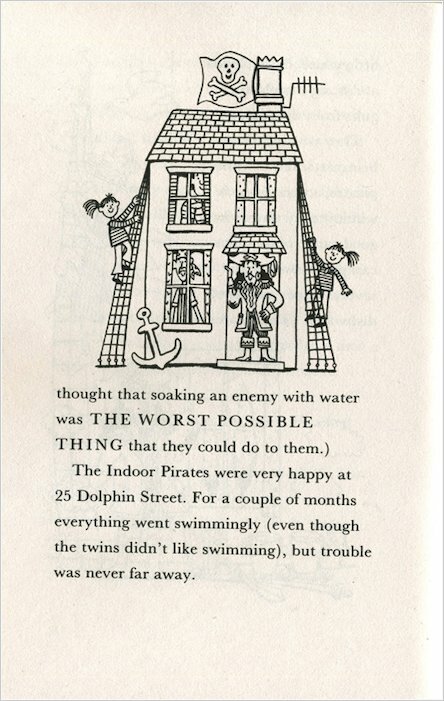 25 Dolphin Street, they’re determined to keep on pirating and hunting for treasure, having lots of very silly adventures on the way. 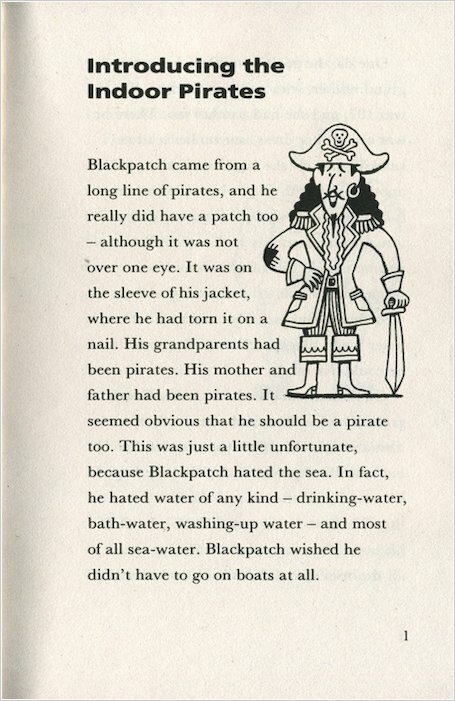 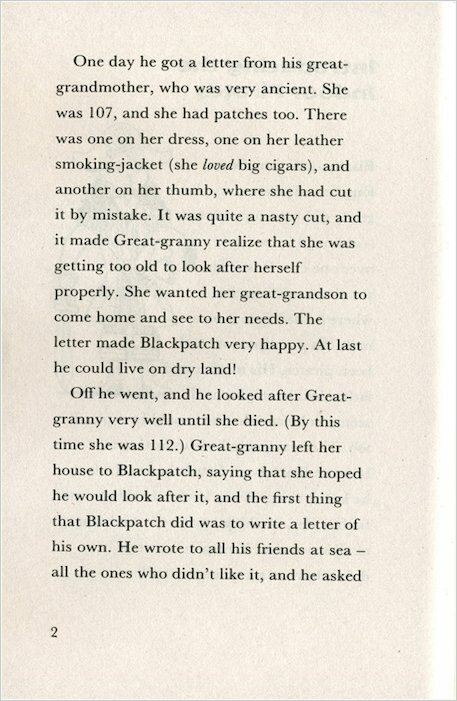 But when Captain Blackpatch takes the crew on a camping holiday, they’re horrified to find clues that point to hidden treasure – buried on an island in the middle of a lake! 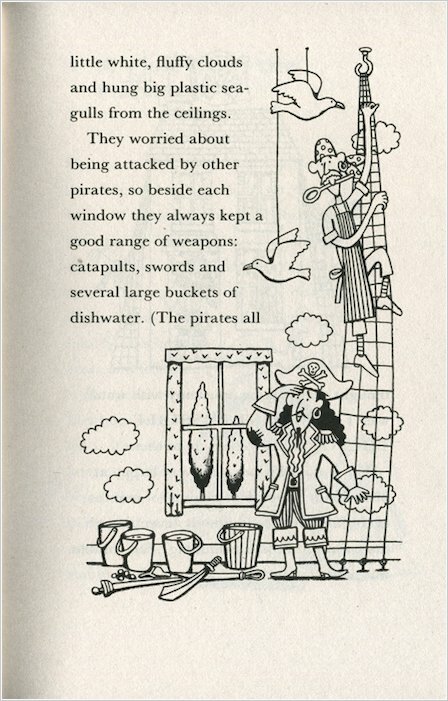 How will they reach it when they’re all terrified of water? 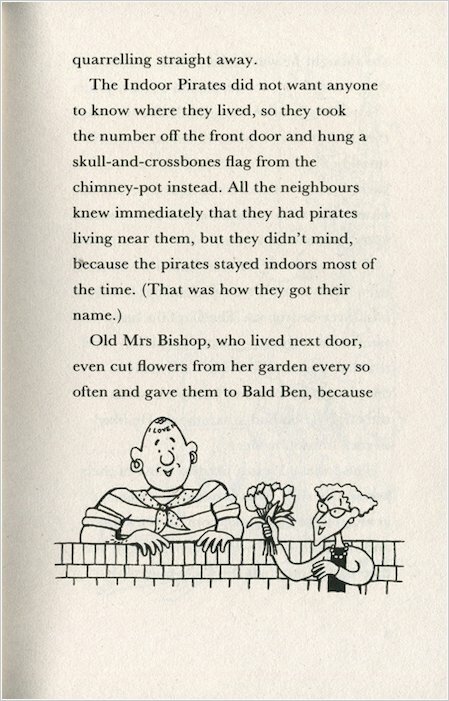 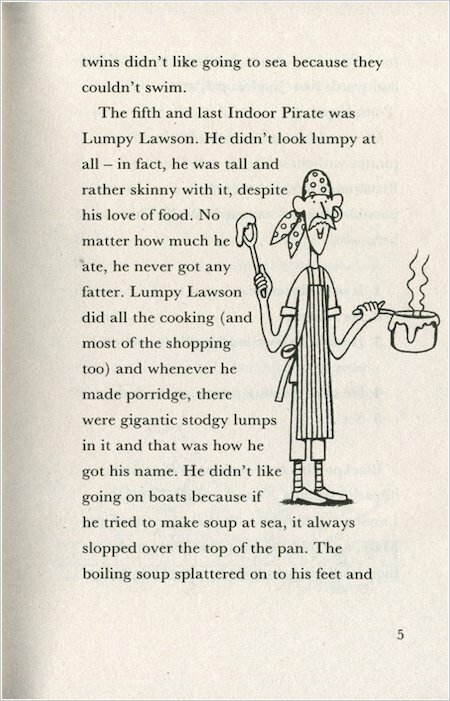 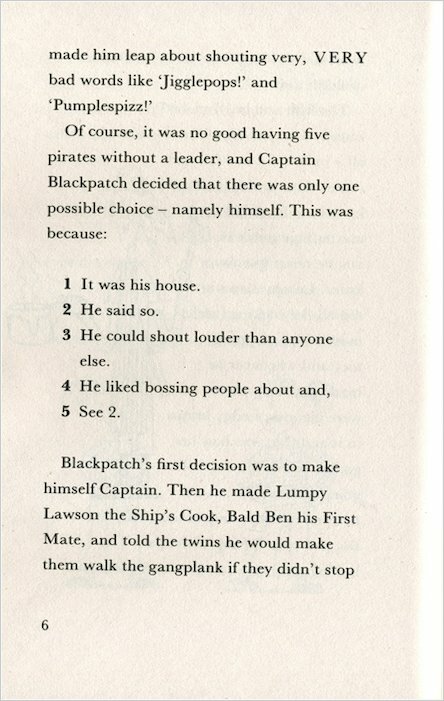 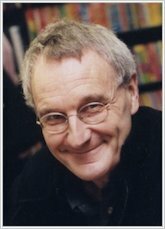 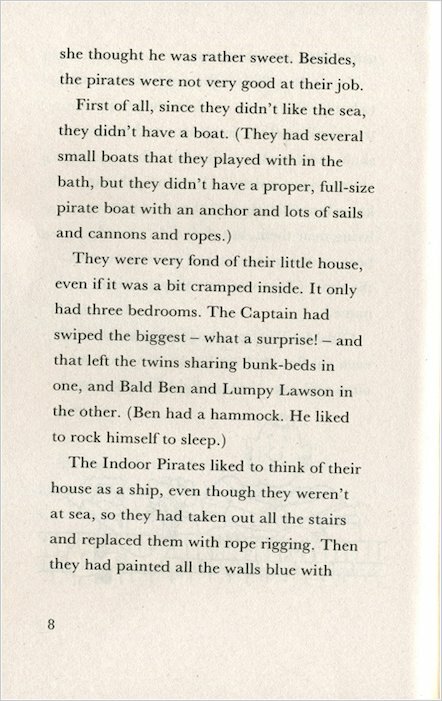 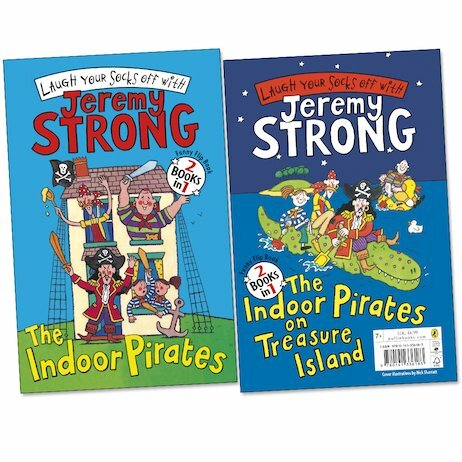 Two stories full of piratical pandemonium from the master of laughter, Jeremy Strong.